The joy of Spring! A time for planting and planning! 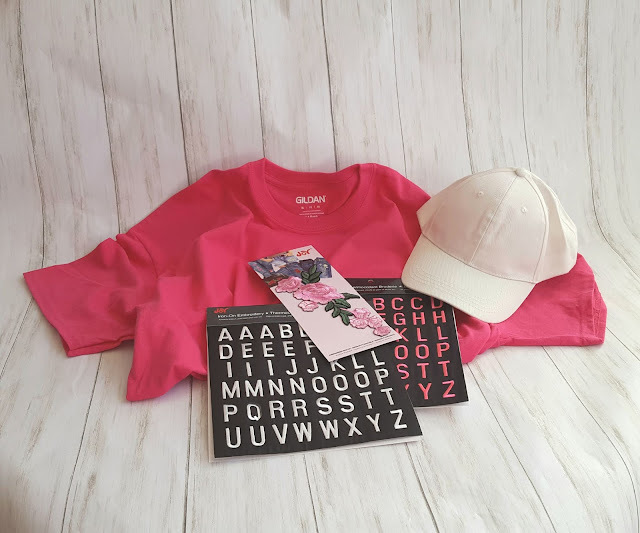 Do you need a gift for the gardener in your life or maybe just for you? 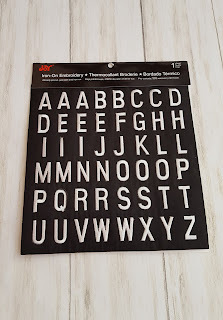 This is a quick and easy project that you will enjoy. 1. Pre-wash and hang dry to pre-shrink if your T-shirt is 100% cotton. 2. 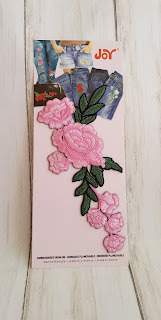 Cut the appliqué into two pieces. Snip the four small flowers from the main flower at the base of the 5 leaves attached at the large flower. Set aside. 3. 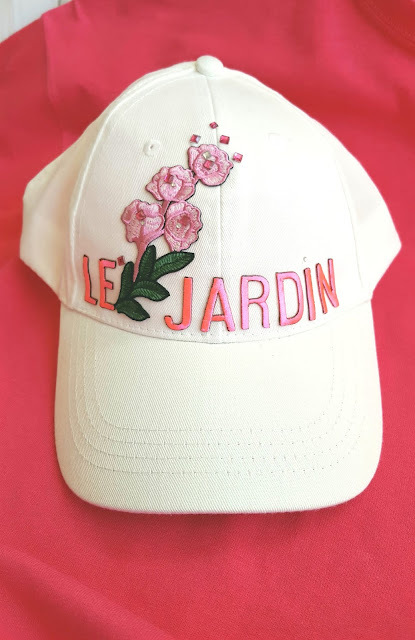 Select pink letters to spell LE JARDIN - French for "the garden". Position letters and the flowers on the front of the cap using a dot of tacky glue to hold in place until ready to press into place. Fold the pressing cloth in two, lengthwise, and roll up. 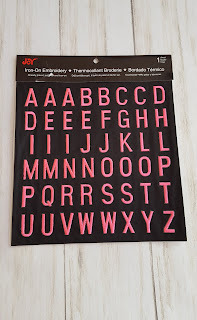 Hold this between the inside of the cap and your fingers as you press the letters into place with the iron to protect your fingers. Apply heat as instructed until all pieces are secured. 4. Optional: Adhere matching rhinestones to the hat as shown. 5. 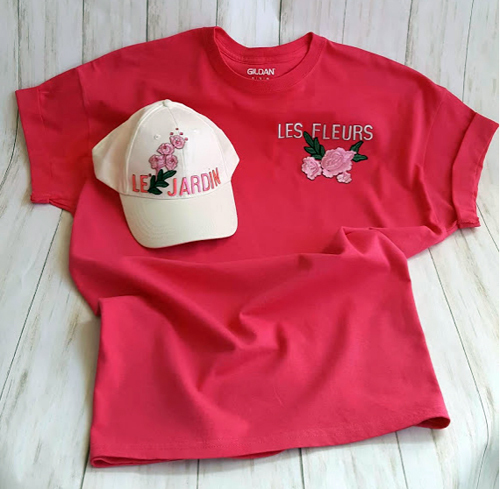 Referring to photos, arrange white letters on the upper right hand side of the t-shirt to spell LES FLEURS - French for "The Flowers". 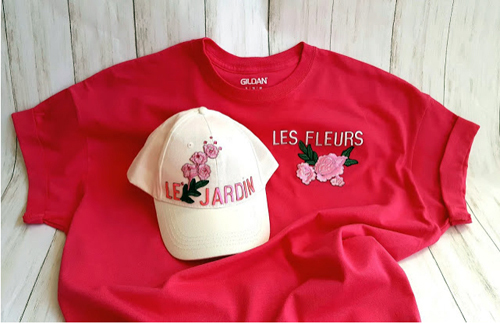 Place the flower appliqué under the letters. 6. Referring to directions on the packaging, cover with the pressing cloth then iron to secure. 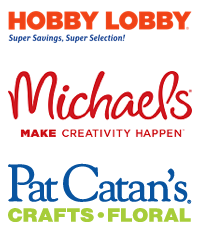 at your favorite craft store!